Williams may meet Stuart Bingham in the last 16 again after their ranking final in Australia this July, which Williams lost the match 8-9 from 8-5 up. Ronnie O'Sullivan did not participate in the tournament last season, if he makes through to the next round he may face The Captain Ali Carter. Neil Robertson was out in the first round to Anthony Hamilton with regret last season, will he win his first match in Berlin this time? Mark Selby v Graeme Dott was the semi-finals of the event last season, it may happen again in the last 16. 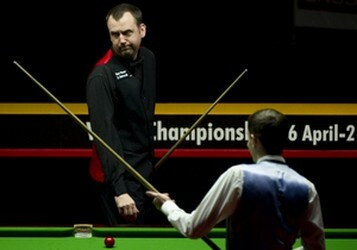 Judd Trump against Mark Allen will be a great entertainer if they both through to last 16. The latest Power Snooker winner Martin Gould may make his debut in Berlin this season. All matches before semi-finals are all in best of 9 (including qualifiers), semi-finals is in best of 11 while final will be best of 17. German Masters qualifiers are in a special format, only three qualifying rounds will be played. All Players outside top 32 needs to play two rounds before facing the players ranked from 17 to 32 to qualify for the main draw. 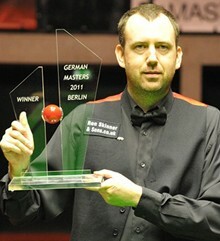 How many German snooker players play in the German masters? If none why do they call it the German masters?